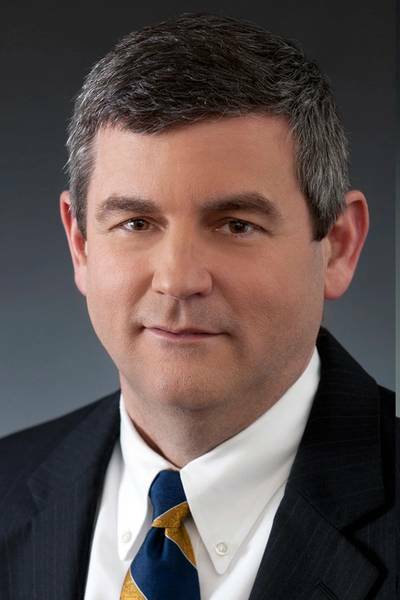 Huntington Ingalls Industries Inc Chief Executive Mike Petters urged the U.S. Navy to accelerate its new LX(R) dock landing ship program to fiscal 2018 from 2020 to avoid significant costs associated with restarting a production line. The production-line gap would occur when building of the LPD-28 warship ends about two years before the LX(R) is due to start. Petters told Reuters the move would save money by averting a costly break in production of the ships, which the Navy has decided to base on the LPD-17 amphibious dock warships also built by Huntington Ingalls. A five-year gap in production of U.S. Navy DDG-51 destroyers cost more than expected, and the same was true for a break in production between the Sea Wolf and Virginia-class submarines, Petters said in an interview late on Monday. "We have an opportunity to prevent that on the LX(R) program," Petter said. Navy acquisition chief Sean Stackley in February said the decision to reuse the LPD-17 hull form should reduce the amount of design activity required for the LX(R), but it was unclear if the program could be accelerated significantly. "What we need to do it just carefully make sure that we're not rushing into the construction before we've completed the design sufficient enough that we don't end up losing what we've got today, which is good cost control, good performance by the shipyards," he told lawmakers at the time. Petters said it was too early to project the added cost of halting and restarting production, but serial production in shipbuilding was proven to result in substantial savings. He welcomed a move by Congress to fund work on the LPD-28 warship to help the Navy bridge to the LX(R) program but said the current plan would still result in a two-year break in production between the programs. When production halts at a shipyards, workers get jobs elsewhere and it is expensive to hire and train new workers for the highly specialized work involved in shipbuilding. Current Navy plans call for Huntington Ingalls and General Dynamics Corp to compete to build the LX(R). Under the plan, the two firms will compete to build either LHA-8, a third America-class big deck amphibious warship, or six next-generation fleet oilers called TAO(X). The company that submits the best bid for both of those programs would then win the LX (R) design contract.